You probably understand quite well by now that we don’t always eat just out of pure hunger. Sometimes, food is meeting our emotional needs in some way. Emotional eating can be a vicious cycle, where we eat to make ourselves feel better.. but then feel guilty about it afterward. Healthy eating habits are hard to maintain. Food can feel like a constant temptation, associated with feelings of pleasure and comfort. It can sometimes feel like an addiction that is difficult to control despite your best intentions. Many weight loss plans fail (at least in part) as a result of emotional eating. Not only are we more likely to overeat when we are experiencing negative emotions, but we are also more likely to store extra fat. Emotional overeating and unconscious eating (because your mind is a million miles away) are both linked to weight gain. Here we cover some of the emotional triggers that you might want to be aware of so that you can implement strategies to break the unhealthy pattern of emotional eating. We have increasingly been told that we should be happy and positive. We’ve fallen into the habit of looking for a distraction or quick fix to make us feel better, even more so with the rise of technology at our fingertips at all times. We’ve lost the ability to sit with discomfort, thinking that feeling this way isn’t something that we should experience, and we need to do something to make ourselves feel better. One way we avoid uncomfortable feelings is by distracting ourselves with eating. Pair this with our body working against us in a sense, creating cravings for high sugar high-calorie foods when we experience stress. Experiment to see which strategies work best for you. Your first step is simply to notice when you feel the urge to reach for something sweet, identify the emotion triggering the impulse, and just to shift your focus to something else for a few minutes until the urge passes. Have you ever been bored, and found that you keep gravitating back to the fridge? Boredom can be a huge challenge when it comes to weight loss. Over time, the more you repeat the behavior of eating when you experience boredom, the more this habit becomes strengthened. Why not brainstorm a list of activities that you can indulge in when boredom strikes- read a good book, go outside, go to the gym, or call a friend. Consider what it is that interests you, and follow your passions. If it’s just a case of keeping your hands busy, many have found something like knitting or scrapbooking has helped them break the habit of reaching for food. After a long busy day, gathering with other people for a meal is a nice way to release stress, but it can also lead to overeating. Enthralling conversations can distract you, and before you know it you’ve eaten more than you meant to. You may also overeat due to nervousness, finding food is a way to calm your social anxiety. The other people in your gathering may encourage you to overeat, and it’s just easier to go along with the group. Strategies such as checking out the menu beforehand, deciding on the most healthy options with the right sized portions ahead of time can be helpful. You could also suggest social gatherings that allow you to have that quality time with family or friends but that aren’t centered around food. Double points if you manage to find a way to incorporate physical activity into this. An example might be going for a stroll along the beach with a friend. 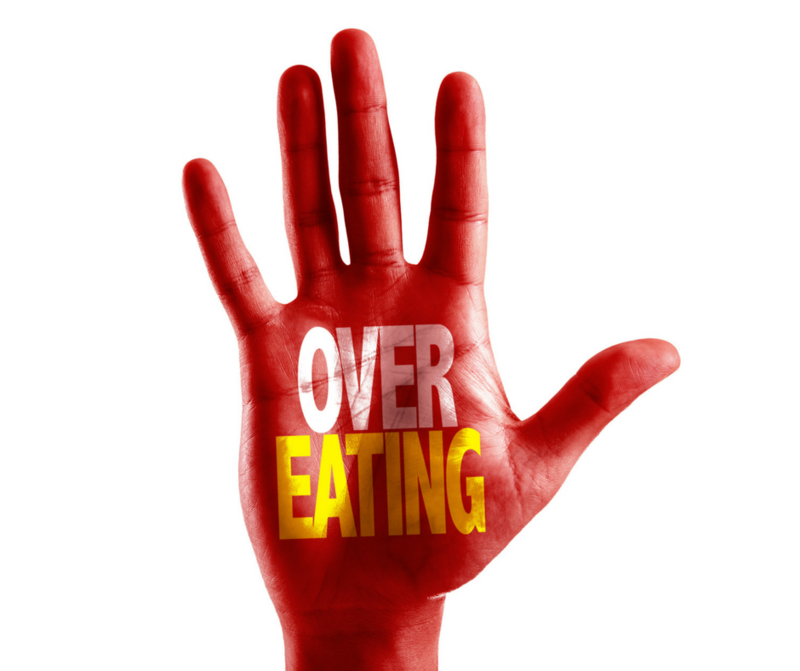 Emotional eating or unconscious eating? Sometimes we eat without realizing that we are, or knowing why we do it. Unconscious eating is when you find yourself munching away on something without having the conscious intention to. A good example is automatically grabbing a handful of chips at a party, not because you are hungry, just because they’re in front of you. One solution to this is to focus on being present in the moment. It takes practice, but periodically bringing yourself back to the now, instead of having your mind always drifting off can help you be more conscious of the choices that you make. 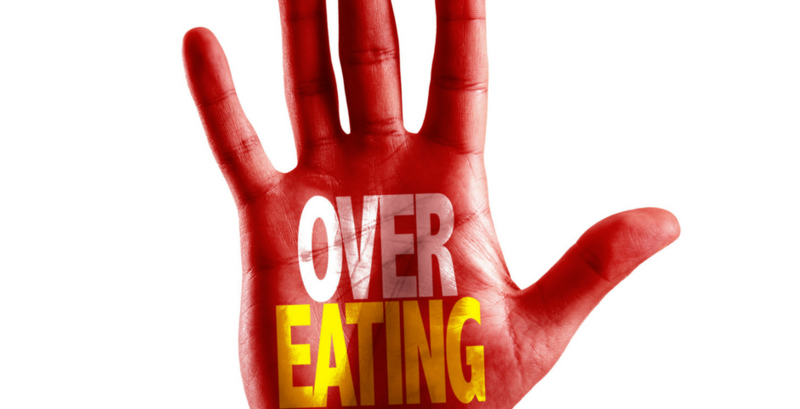 Strategies to gently help us to overcome old habits of emotional eating are just one of the topics we cover in our educational workshops as part of our proven weight loss program. Check it out here to find out more.